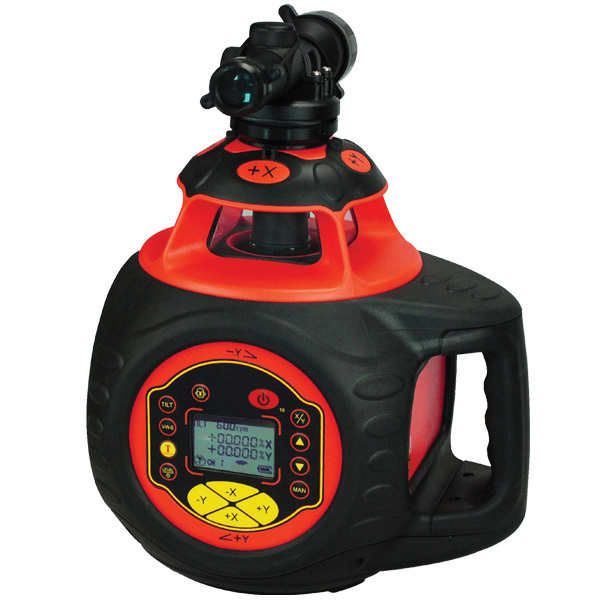 RedBack Lasers DGL2510Q is an electronic auto levelling rotating laser level with Dual Digital Grade with up to 25% Grade Laser. Ideal for earthmoving, mining and civil construction. Included is a heavy duty receiver with dual LCD displays and staff clamp, smart remote control, rechargeable batteries and charger and hard shell carry case. more details and videos below. The DGL2510Q is an electronic digital 25% Grade Laser. The RedBack Lasers DGL2510Q is fully electronic self levelling and features dual digital grade setting either from its control panel or radio frequency Smart Remote. DGL2510Q can set up to a 25% grade one axis and 10% on the other and grades can be set to 3 decimal places. The sophisticated mechanism will even re-level and re-set grade automatically if disturbed or you can select TILT to warn of any major knocks or vibrations. The DGL2510Q also features V-W-S vibration and Wind Settings, during high winds or on side with heavy machinery the laser may stop to re-level frequently to save time select V-W-S and the laser will continue rotating whilst making these small adjustments. The DGL2510Q comes with a Smart Remote with LCD display, the remote can control nearly all the facets of the laser level but is particularly handy for setting grades when you have the laser high in the air (using HDET 3m Tripod). 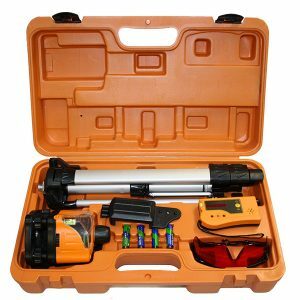 The DGL2510Q comes with LR715 heavy duty double LCD display receiver, Li-ion rechargeable batteries and charger, Axis alignment scope and a hard shell carry case. The DGL2510Q is ideal for serious grade setting in mining, earthmoving and civil construction. This laser is the one you need if you are wanting seriously steep grade and offers great quality and value for money for a rotating laser that can do a 25% digital grade. The RedBack DGL2510Q comes with a 5 Year manufacturers warranty. All RedBack Laser Levels have been Checked and Calibrated in Australia and come with a FREE certificate of calibration. Accessories featured in photos or video may be OPTIONAL, at an extra cost. Specifications may change without notice.